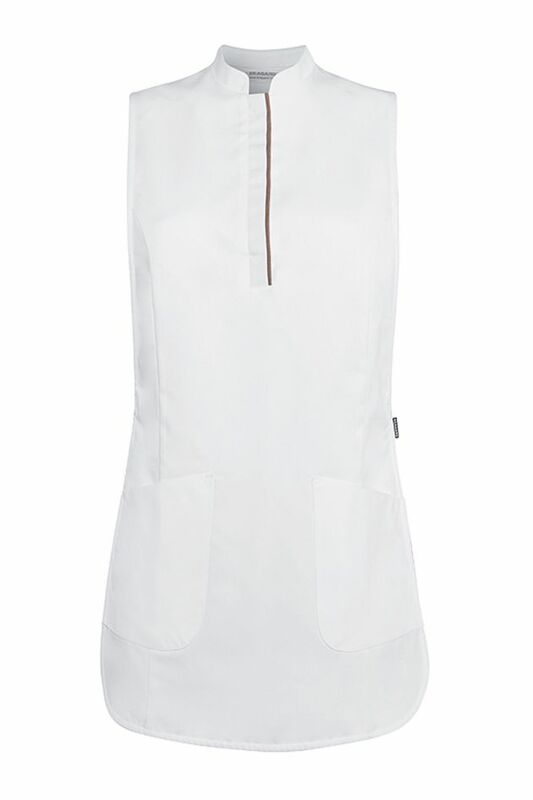 Women’s pinafore. Mandarin collar. 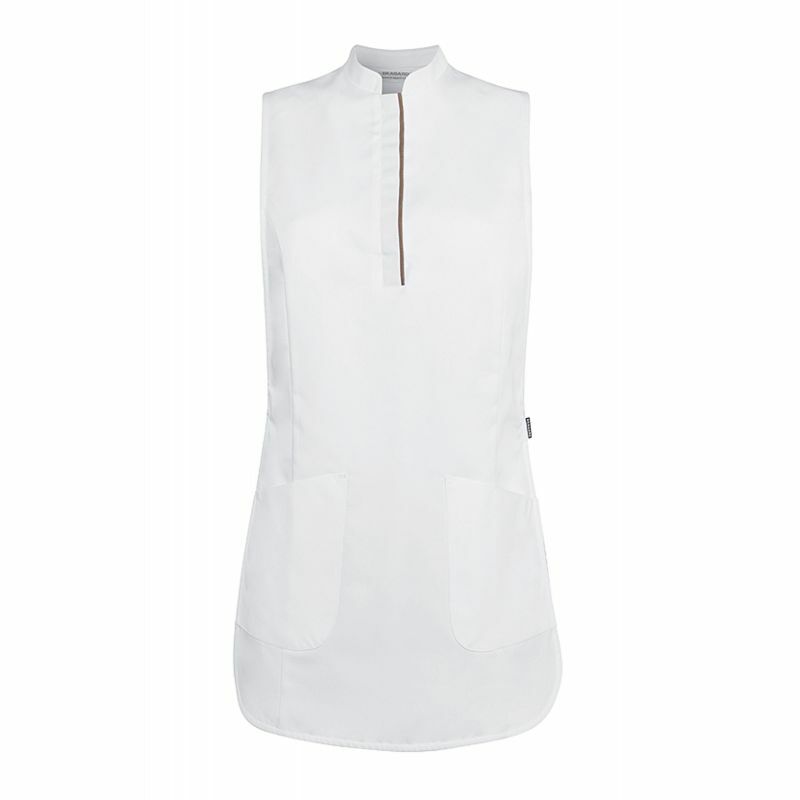 Concealed press-stud placket. Shoulder yoke with contrasting band trim. Centre pocket. Adjusting tab at side. White.